Add flour, baking powder, agave, oats and cinnamon to a large mixing bowl. Mix. In a small dish, combine water and flax seeds. Stir then and let sit for 4 minutes. Add the water/flax mixture, orange juice, applesauce, extract and almond milk. Make sure these ingredients are room temperature (applesauce and orange juice). Stir batter until smooth. 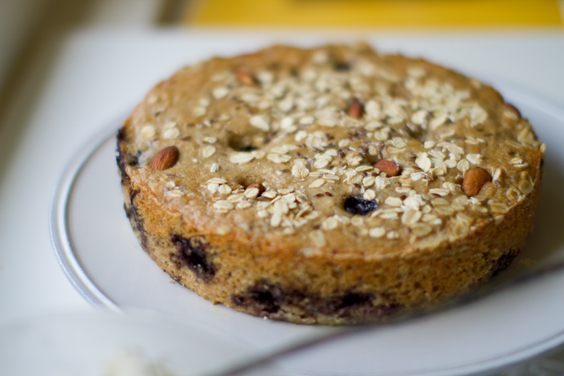 Fold in 1/2 cup blueberries and almonds. Spray cake pan or dish with cooking spray including sides. Pour batter into cooking dish. Bake at 350 degrees for 25-30 minutes until edges begin to brown. Remove from oven to cool. 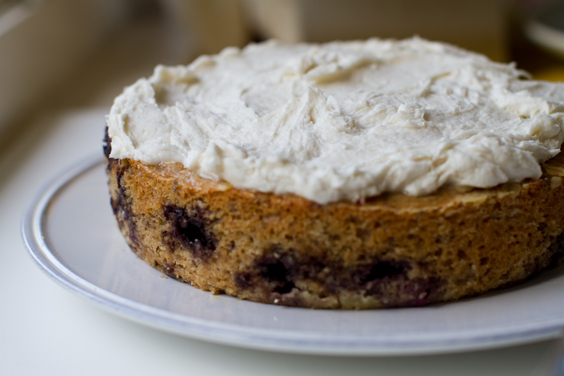 Start your frosting about 20 minutes before you want to frost your cake. Take your washed and dried blueberries out. 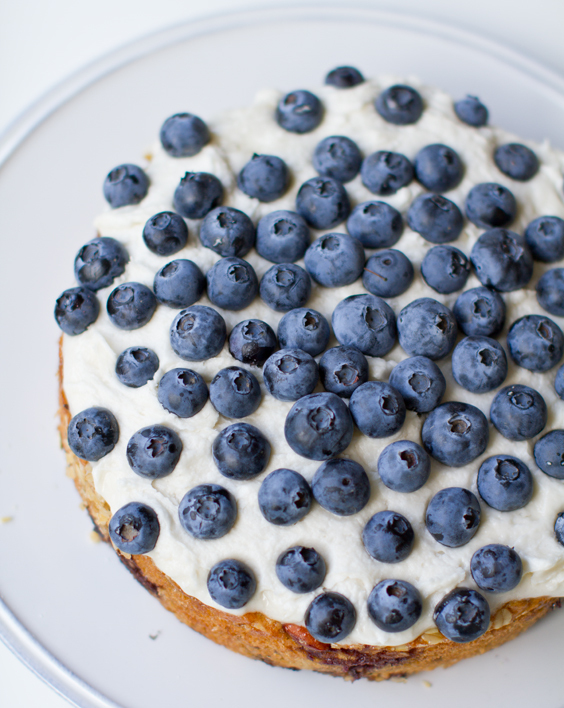 Your cake must be cooled completely when you frost it or the frosting will melt. Add frosting ingredients to mixing bowl and blend until fluffy and smooth. Add in a splash of room temperature coconut milk to thin out the blend. Place frosting in fridge for just about five minutes before frosting. Any longer and the frosting will get too firm. 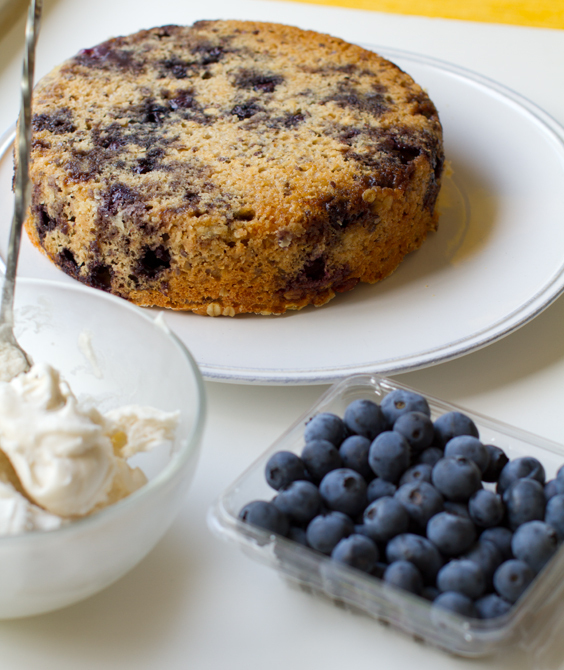 Get your cooled cake, chilled frosting and blueberries out. 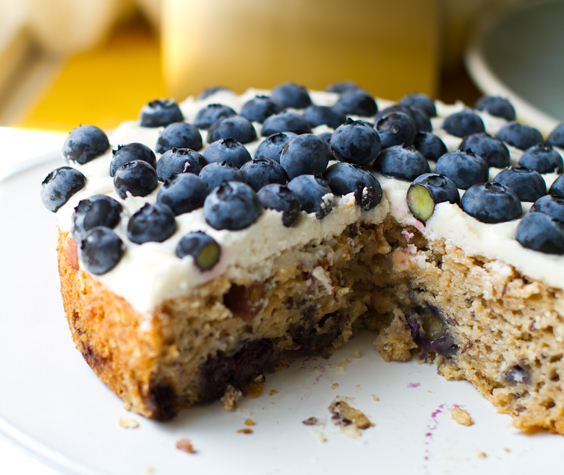 Next top with fresh blueberries.